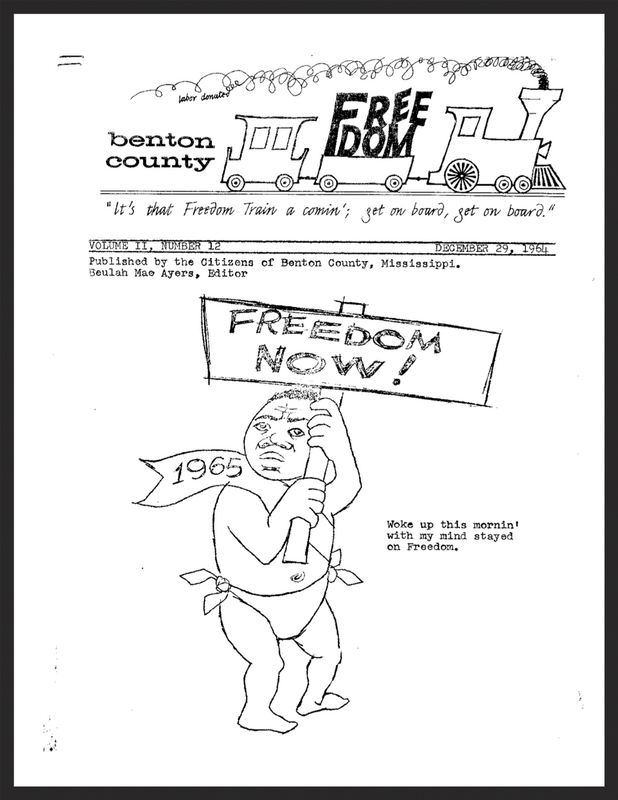 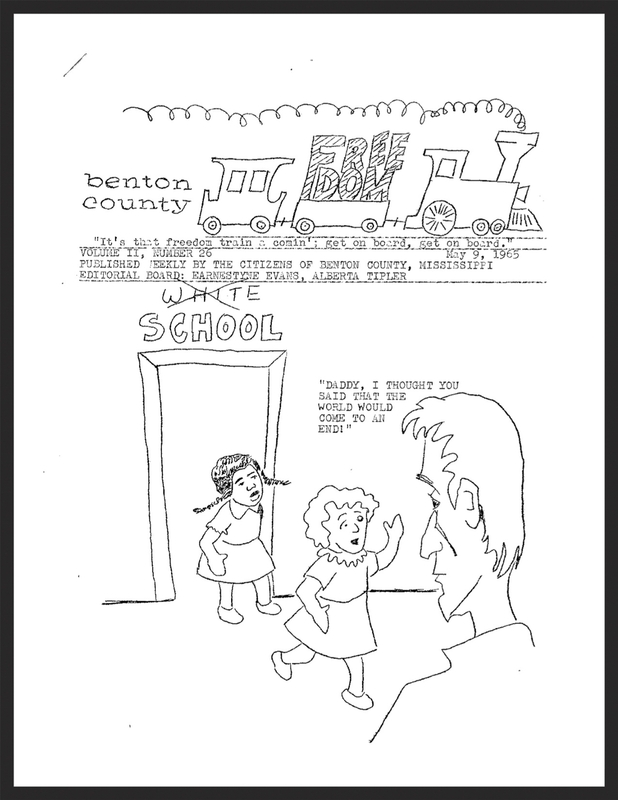 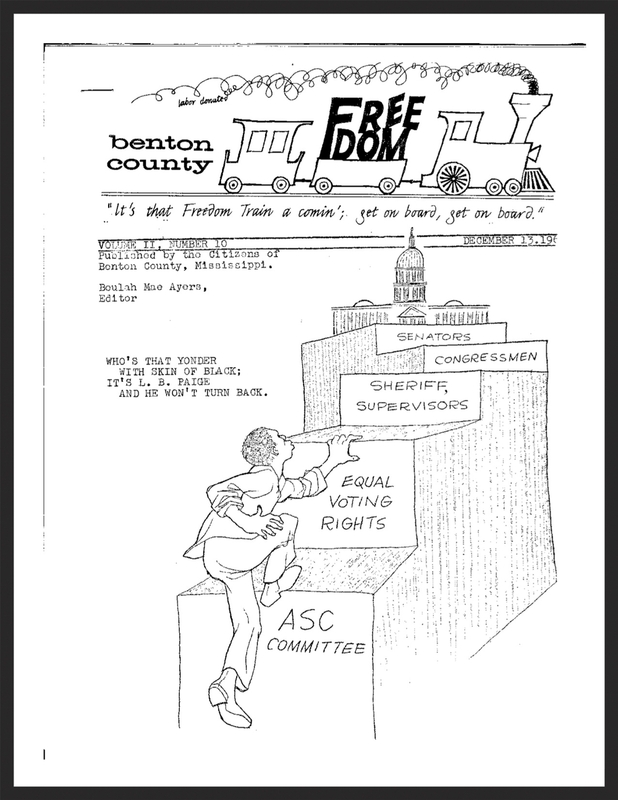 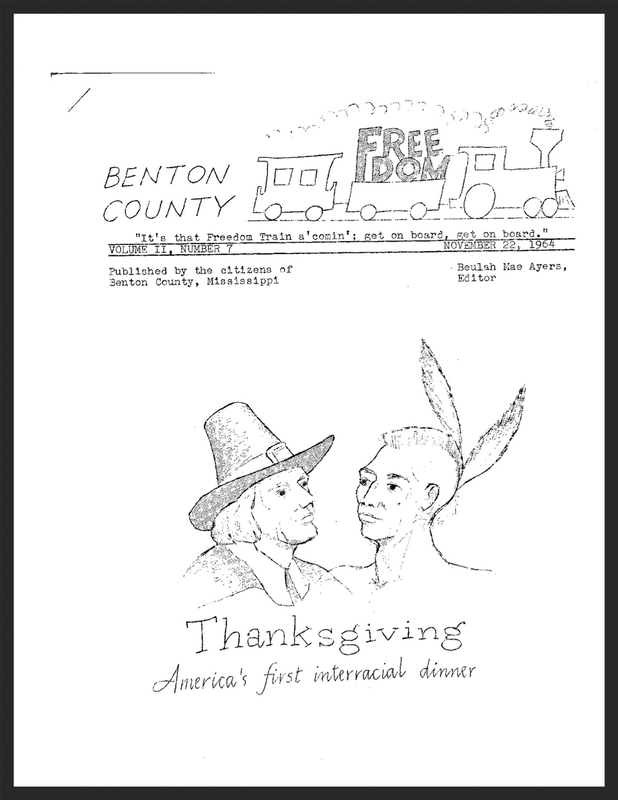 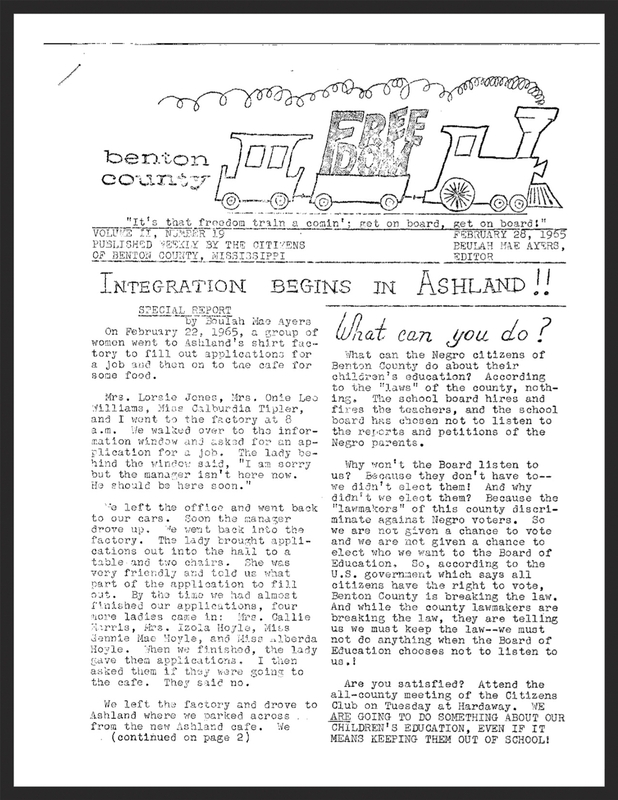 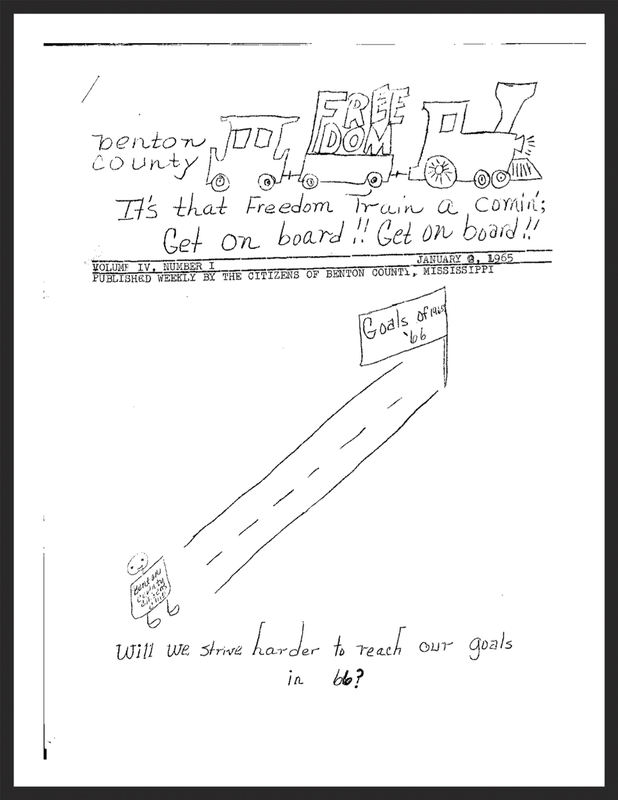 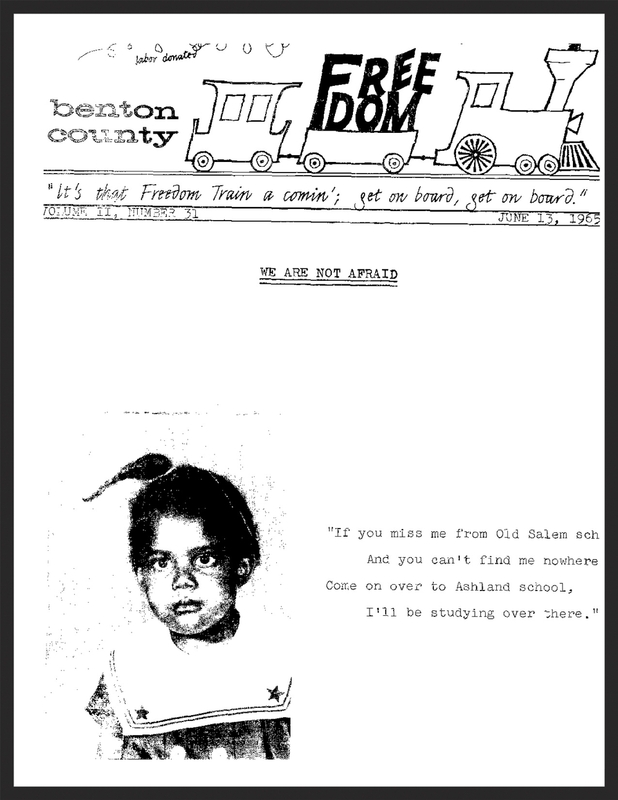 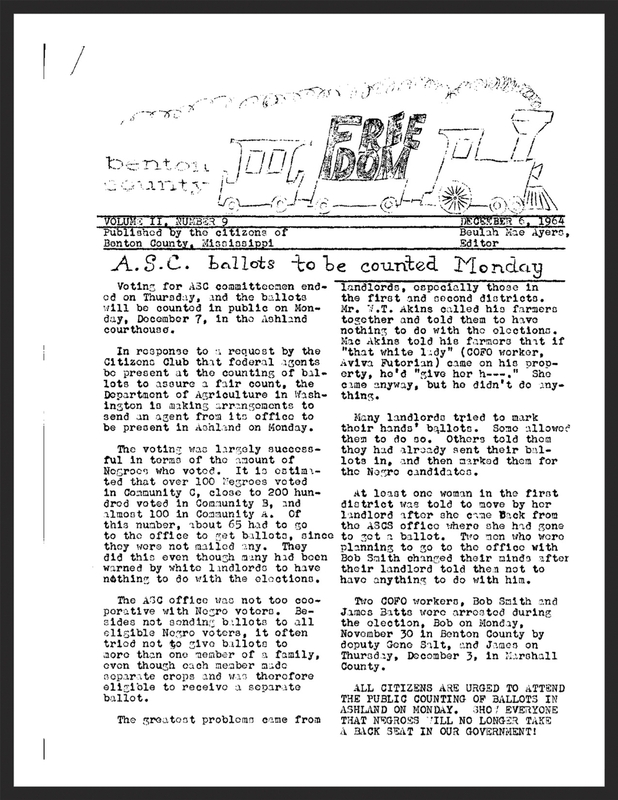 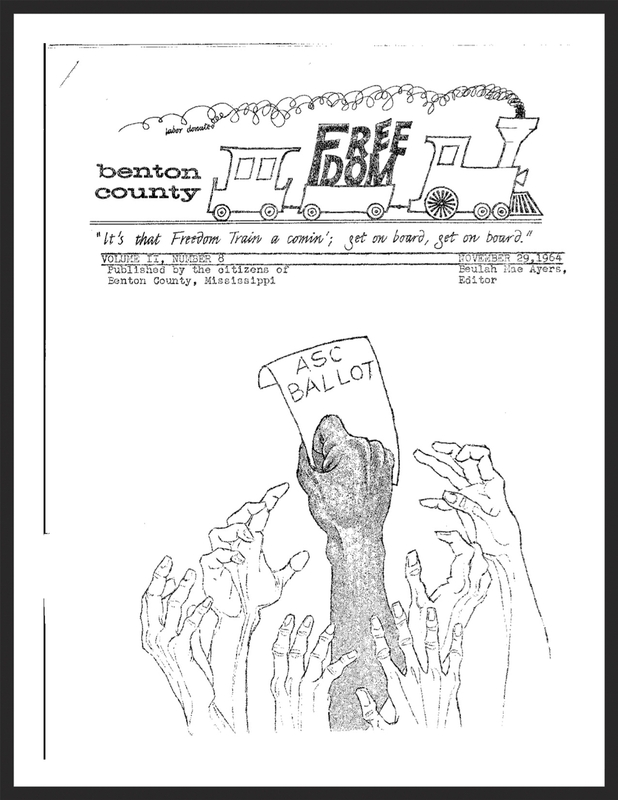 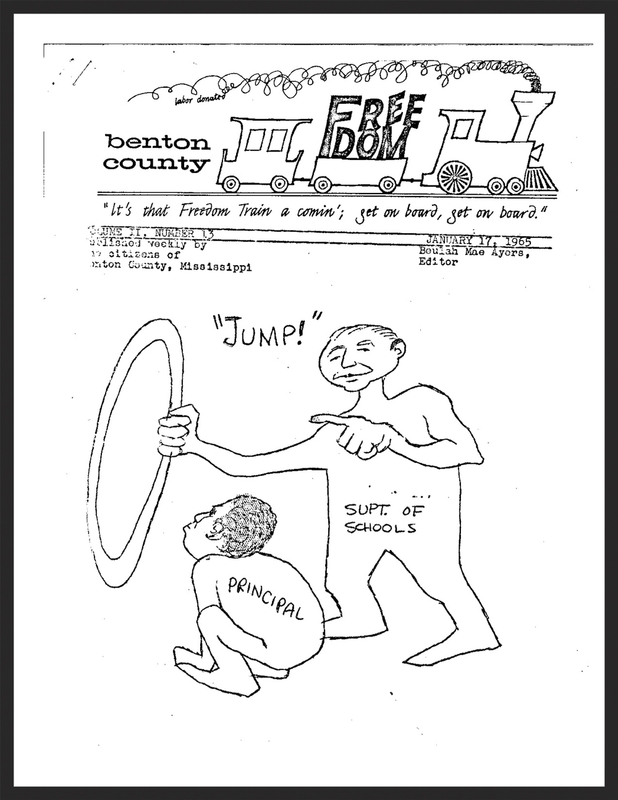 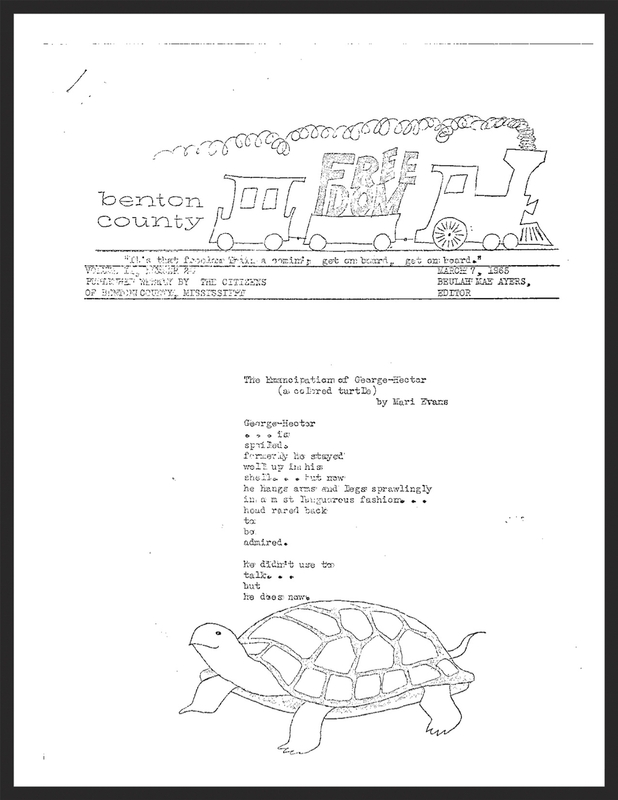 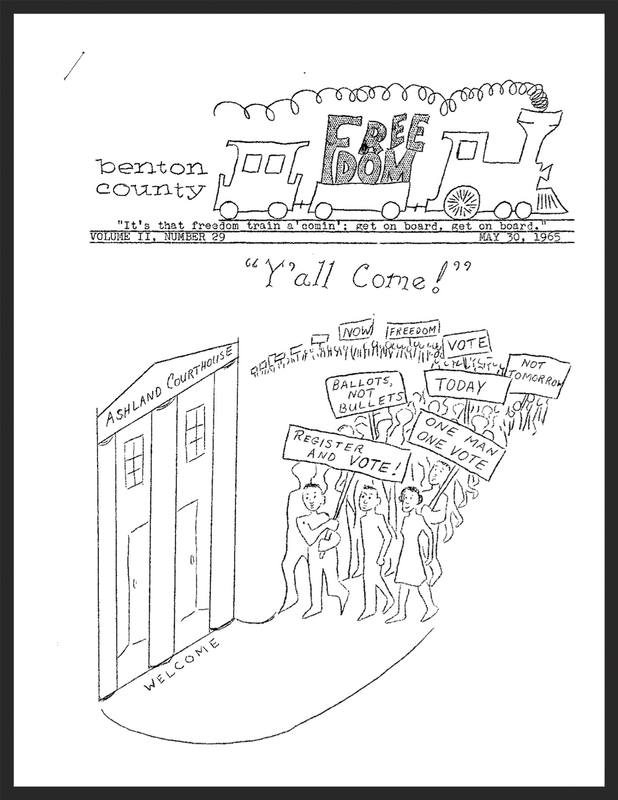 In June 1964, the Benton County Citizen's Club, a local organization that focused on voter registration and other civil rights issues, began publishing the Benton County Freedom Train, a newspaper featuring news, stories, and poems about Black empowerment and freedom. 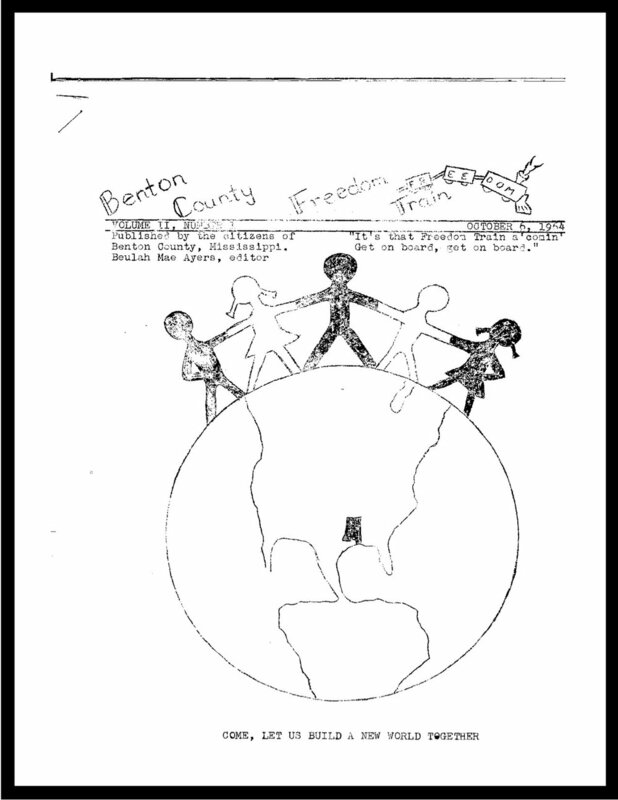 The paper was written by Benton County residents, published on a mimeograph machine in the Citizens' Club office, and distributed throughout the county by section captains of the Citizens' Club. 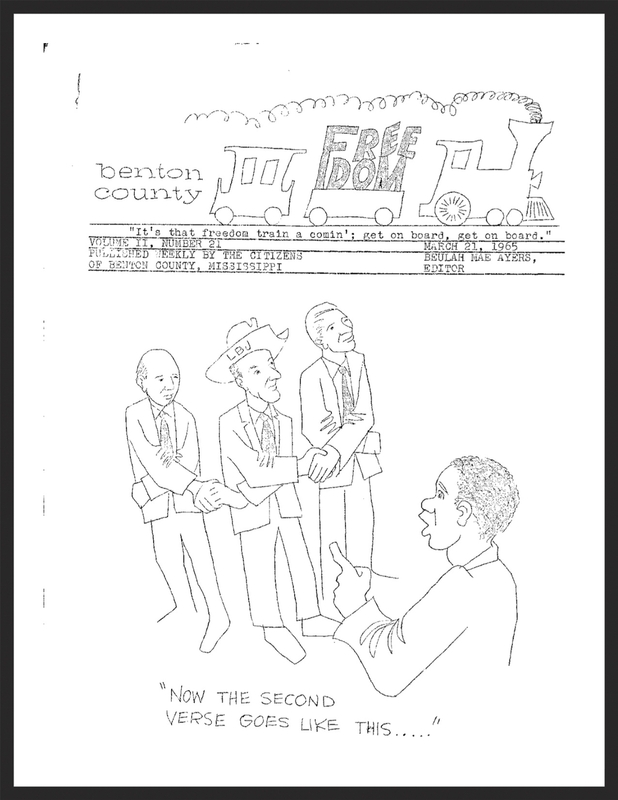 The masthead and many of its covers were created by Frank Cieciorka, a civil rights worker and artist from San Jose, California. 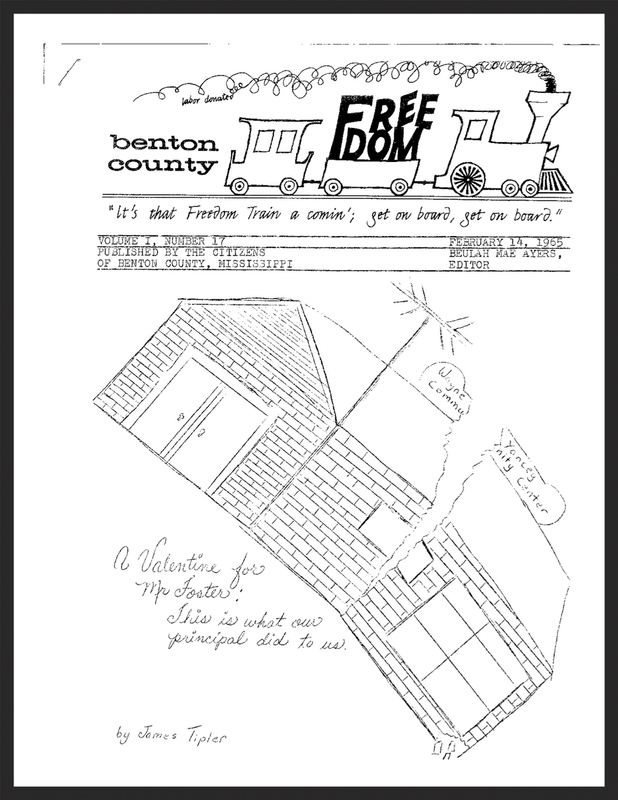 Below are downloadable versions of some of the first 2 years of the Freedom Train.